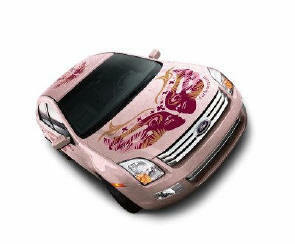 One of Kind "Warriors In Pink"
Earlier this year, Ford revealed a special Warriors in Pink version of the Mustang. 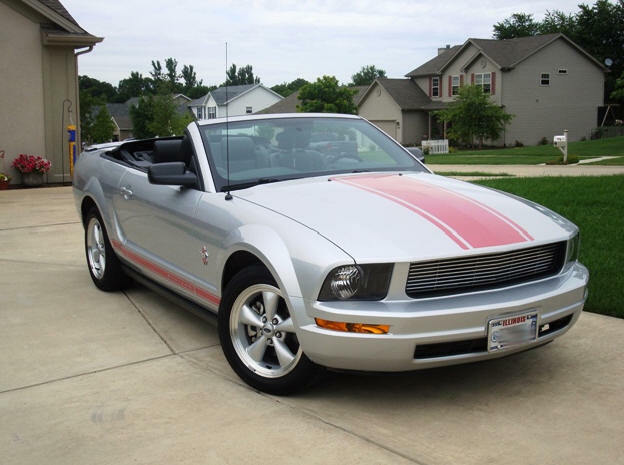 Only 2,500 were built and the sale of each went to helping fight breast cancer through donations to the Susan G. Komen Race for the Cure charity. 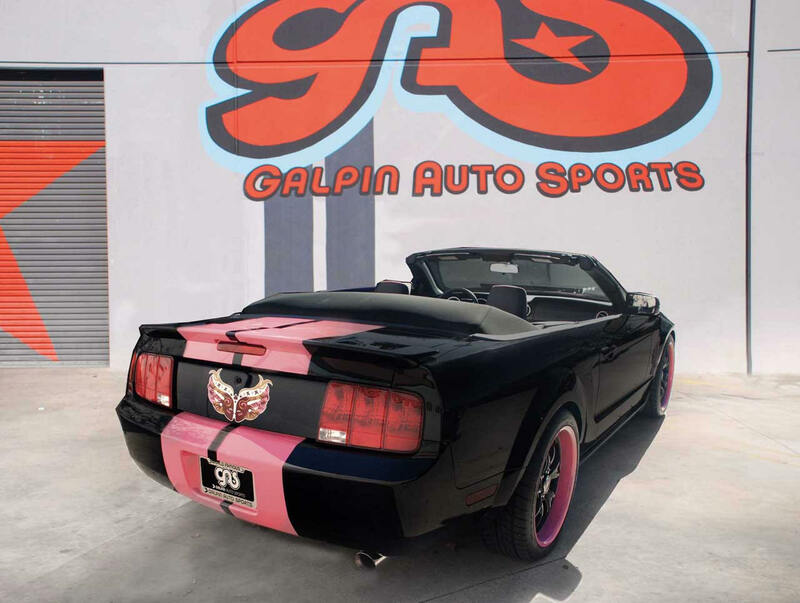 As we all know, one special version of the Mustang is not enough, so Galpin Auto Sports of Pimp My Ride fame has gone and "Galpinized" a Mustang convertible that will be given away as the grand prize in the Warriors in Pink Mustang Sweepstakes. The Galpin Warriors in Pink Mustang is a bit more flashy than its factory sibling, sporting hot pink rally stripes over black paint, pink headlight splitters, a new grille and spoiler, a lowered suspension and 20-inch pink and black rims. The Warriors in Pink logo has also been hand painted on the back between the taillights for a custom touch. Electronic upgrades like a Kenwood nav system with 7-inch touchscreen are also included, along with new pink and black leather upholstery. Unfortunately, an untouched 200-hp V6 sits underhood, but we suppose this car is meant to be seen rather than driven. Over the weekend of September 23rd at Road America in Elkhart Lake, Wisconsin, Ford’s Warriors in Pink campaign was out in front with specialy built Ford cars and one special driver. The ChampCar World Series race featured Katherine Legge, driver of the No. 20 Gulfstream Ford-Cosworth/Lola/Bridgestone, is the first female to run full-time in the Champ Car World Series and became the first woman to win a major open-wheel race in North America with her 2005 victory in Long Beach. To show her support of the Susan G. Komen Breast Cancer Foundation, Katherine Legge traded in her standard red, white and black machine for a “Warriors in Pink – Powered by Ford” paint scheme and decals. Legge sported a custom fire suit, gloves, shoes and helmet that will be signed and auctioned later this year to benefit the Komen Foundation. While the event was meant to be a bright showcase for Ford and Katherine Legge, a near tragic accident almost turned the tables. One moment, Katherine was sailing toward possibly her best finish of the season. The next, she was sailing into the concrete wall, into the air, into the catch fencing and thousands were praying for her life. Ford ramps up its fight against breast cancer by announcing today a very special addition to its 2007 Warriors in Pink Campaign in support of Susan G. Komen for the Cure. 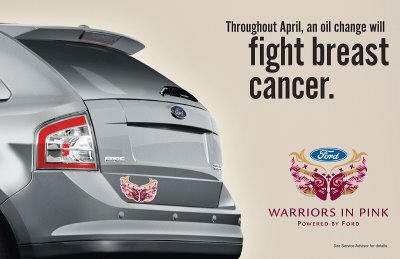 Two-time Grammy-winner and former American Idol winner, Kelly Clarkson joins Ford’s fight by appearing in their campaign designed to drive awareness of the Warriors in Pink initiative. Ford has supported Komen for the Cure for 13 years and has dedicated more than $90 million in cash and in-kind donations to save lives and help end breast cancer forever. Last year, the line of apparel generated more than $1.1 million in sales, with all net proceeds going to Komen. 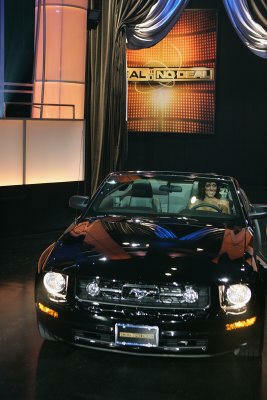 Ford is proud to launch the celebrity signed and decorated mini-Mustang auction in support of Susan G. Komen for the Cure. 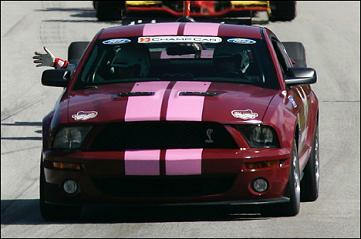 As a long-standing supporter of breast cancer awareness, Ford has donated more than $90 million in support of the cause. 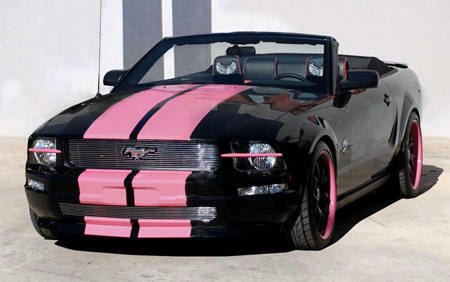 This year, Ford ramps up the fight with the addition of its 2008 Mustang with Warriors in Pink package. 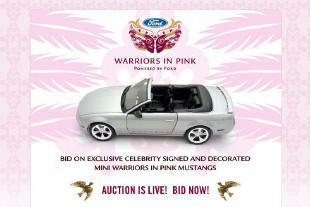 Celebrities join us this year in the fight against breast cancer by signing and decorating limited-edition 1/18th scale models of the Mustang with Warriors in Pink package. 100% of the auction proceeds will benefit Susan G. Komen for the Cure. The Models of "Deal or No Deal"